Springer Controls manufactures the N5 pushbutton stations using 22mm IEC operators to meet a variety of requirements. We offer 1 button, 2 button and 3 button stations in a polycarbonate enclosure rated NEMA 4X / IP65 for indoor or outdoor use. All pilot devices are UL, CE, and CSA approved, and are available with black or chrome bezels. All contacts are mounted to the back of the enclosure for easy removal of the cover, and easy wire management. 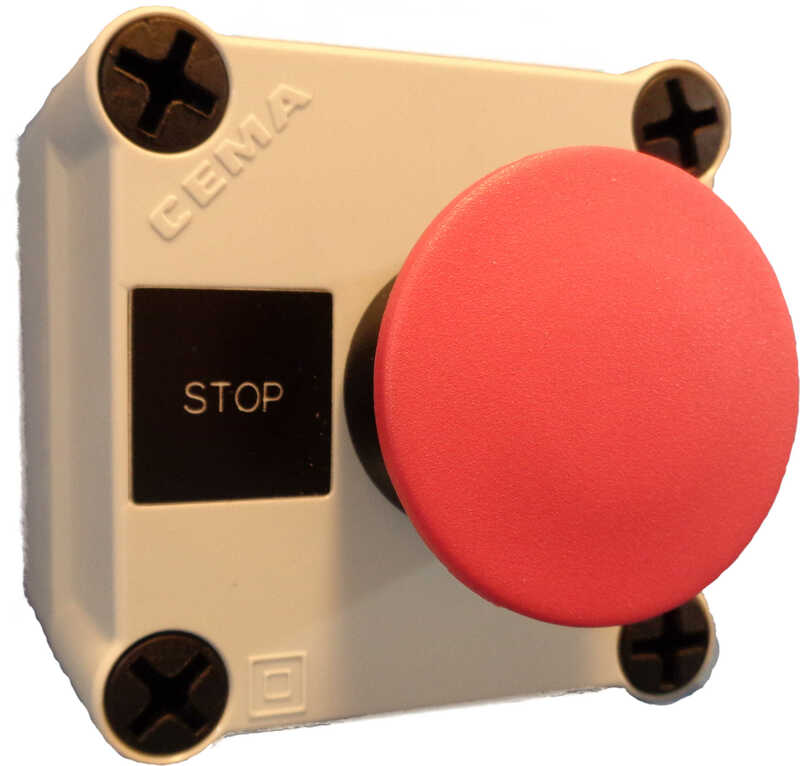 Flush mount buttons (button flush with bezel) or extended buttons (button extends past bezel), push/pull emergency stops, or twist to unlock emergency stops are among the options we offer. Black or chrome bezels are available for each. The standard pushbutton stations shown are in stock ready for shipment, but we have a wide range of enclosures (polycarbonate, mild steel, stainless steel) and pilot devices to choose from to customize your pushbutton station. 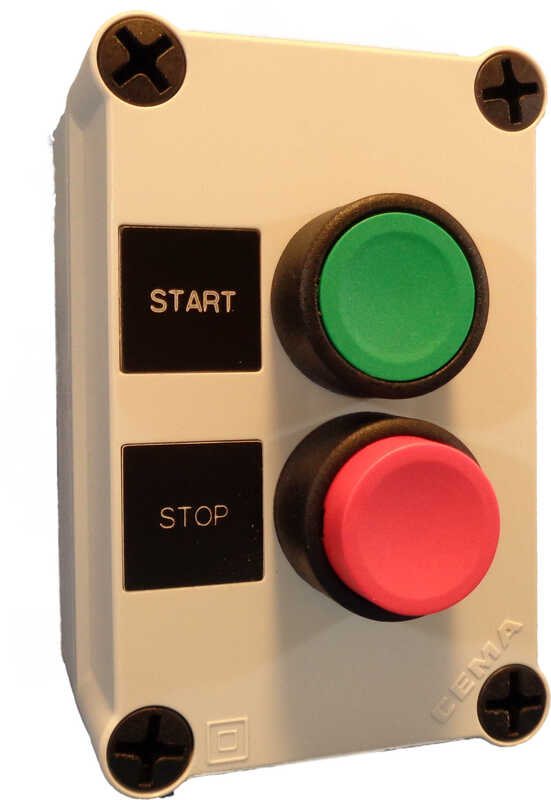 Contact Springer Controls to customize your pushbutton station or choose from our standard options. We offer single operator stations for start, stop, or emergency stop. Click to view our selection of standard single operator stations. 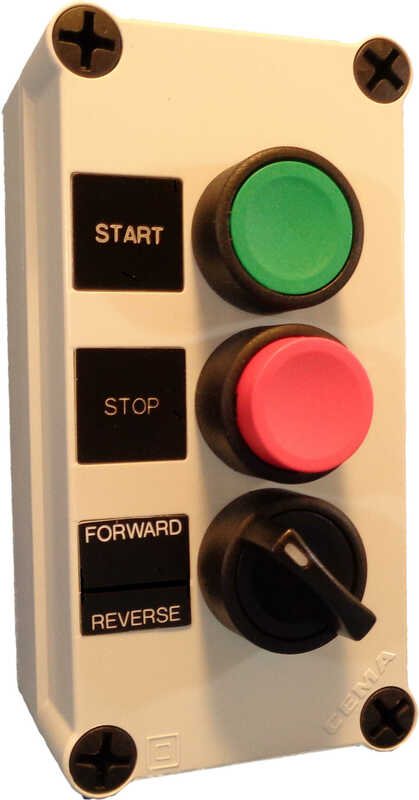 We offer two operator stations for start/stop, start/emergency stop, up/down, forward/reverse, open/close. Click to view our selection of standard 2 operator stations. We offer three operator stations for a variety of common applications. Start/Stop with selector switch, or a pilot light, Up/Down with an emergency stop are some common examples. Click to view our selection of standard 3 operator stations.